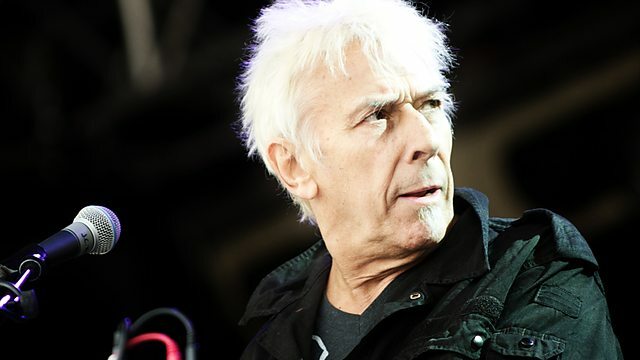 Legendary music figures John Cale of Velvet Underground and Sonic Youth’s Thurston Moore will be key speakers at Liverpool Sounc City’s 2014 conference as well as former Chief Executive of The Premier League and former CEO of Liverpool Football Club Rick Parry. The conference will cover the three themes of style, music and football. Genre-busting pioneers, Cale and Moore formed two of the most influential bands of the twentieth century in The Velvet Underground and Sonic Youth, reinventing music and spawning thousands of bands in their wakes. Continuing to influence and impact on the industry, John has since recorded 15 solo studio albums including his best-known, the 1973 album Paris 1919, and produced or collaborated with artists as diverse as the Patti Smith Group, Squeeze, The Stooges and The Happy Mondays. In 2011, he signed to Domino Record’s subsidiary Double Six, and in October 2012, released his first full-length release for seven years with the mischievously-titled Shifty Adventures in Nookie Wood. Appointed as Chief Executive of The Premier League in February 1992, Parry is credited with overseeing its development into one of the top professional football companies in the world. Birkenhead-based Sampson, best known for his novels Awaydays, Powder and Stars are Stars – as well as being fired from NME in the 80s and setting up Produce Records – will be questioning Parry on the business of football. The conference will also see sports correspondent and award-winning author James Corbett discussing the football industry. Having reported across the world for the likes of the BBC and national newspapers (including the Guardian and Sunday Times), and collaborated with Neville Southall and Howard Kendall on their autobiographies, James will be talking about his current book on global football governance. The rebirth of vinyl – fad or trend? Repackage and Redefine! Breathing life into well-worn brands. Are there any new lessons for the music business? Zero to Hero- The rise of the blogger! Liverpool Sound City is the biggest urban festival in the UK with over 45,000 attendees expected in 2014. The conference will run on 1 & 2 May in the Hilton Hotel and Liverpool ONE.